If you already have children and you want to have that white picket fence dream, and have a dog involved, you really want to look at what life you have. Is somebody a triathlon athlete? Is everybody behind a desk when they get home from work? We really want to look at our lifestyle. 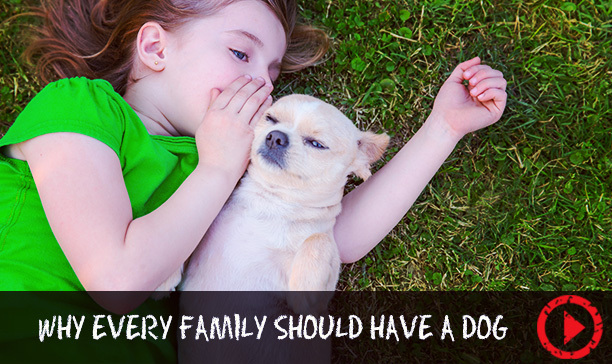 Do we want the dog just to enhance our child's life? We want to see exactly what we want, so that we can look at the specific dog. And I'm not talking breed. It doesn't matter what breed you have. energy. Not necessarily breed. If you have a breed in mind, sure. But then look for the energy of that specific breed. Because if you do not provide an outlet for the energy that is required for that specific dog, it will find an outlet on its own, and then the human can not complain about how he relieves his energy at that point. Give the dog something to do, or it will find something to do. There is no pairing more dynamic than kids and their pets. Try and remember the fascination you felt towards animals as a child. When I told colleagues, friends and family that we were getting a puppy, they all said I was crazy.